14For he himself is our peace, who has made the two groups one and has destroyed the barrier, the dividing wall of hostility, 15by setting aside in his flesh the law with its commands and regulations. His purpose was to create in himself one new humanity out of the two, thus making peace, 16and in one body to reconcile both of them to God through the cross, by which he put to death their hostility. 17He came and preached peace to you who were far away and peace to those who were near. 18For through him we both have access to the Father by one Spirit. ⚡️⚡️ By the end of his life, the physicist, engineer and inventor Nikola Tesla was penniless and living in a small New York City hotel room. He had become a vegetarian at that point in his life and lived on only milk, bread, honey, and vegetable juices. On 7 January 1943, at the age of 86, Tesla died alone in room 3327 of the New Yorker Hotel. 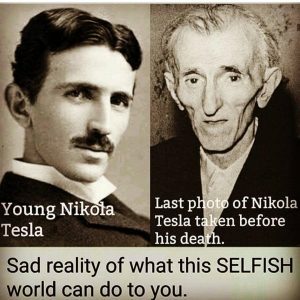 His body was later found by maid Alice Monaghan after she had entered Tesla’s room, ignoring the “do not disturb” sign that Tesla had placed on his door two days earlier. Assistant medical examiner H.W. Wembly examined the body and ruled that the cause of death had been coronary thrombosis. Tesla’s remains were taken to the Frank E. Campbell Funeral Home at Madison Ave.
Two days later the FBI ordered the Alien Property Custodian to seize Tesla’s belongings, even though Tesla was an American citizen. If you are a child of many things, children are ignorant to the understanding of how a thing work —the mechanism and the functionality of it. Basically, if you play with fire, children, there is a possibility you will be burned. Paying attention to the instructions of a parent warnings will benefit you even if the parent doesn’t take the time, at that moment of instruction, give detail explanation as to why you should reframe from doing or participating in an action. I myself have stumbled many times from an inward knowing to halt the participation in a place or even reframe from dialogue in a conversation. 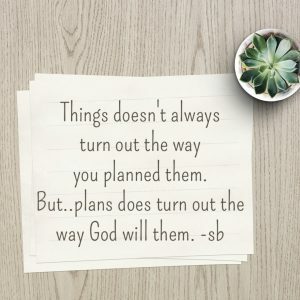 I have learned by many failed attempts of not listening to an inward individual but have a gained understanding and now, my will is no longer in this area but His will is right, every time. The Father knows best. Let me take it to the word of God to give an example of participating in error. Here we see that the vineyard in 1st Kings 21 is talking about Naboth being the owner of the vineyard positioned next to the palace. In 1 Kings 21, Ahab approached Naboth asking him for his vineyard by saying, “give me”, that vineyard that is part of his lineage blessings. Naboth replied to Ahab by saying “I will not give you my vineyard”. Ahab even suggested to buy, but Naboth canceled the purchase and said no in given him his Vineyard for another type of vineyard. In this story, Naboth was later setup by Ahab wife Jezebel which Ahab gave Jezebel authority over his being leadership and king and had Naboth killed for the vineyard anyway by setting Naboth up with actions to make Naboth feel important sitting with high esteem official between two officials falsely accused Naboth. And she wrote letters in Ahab’s name, sealed them with his seal, and sent the letters to the elders and the nobles who were dwelling in the city with Naboth. She wrote in the letters, saying, Proclaim a fast, and seat Naboth with high honor among the people; and seat two men, scoundrels, before him to bear witness against him, saying, “You have blasphemed God and the king.” Then take him out, and stone him, that he may die. Another biblical character where we see another purchase for the vineyard was the transaction between Judas and Priests leaders offering Judas 30 shackles of silver which Judas received and he gave Christ over to the Priest leaders. Afterward Judas hung himself for his treacherous actions. In both cases, the Prophet Jehue shows to address Jezebel and the Prophet Jesus very presence judge righteously all things by the word of God. For some, expressing themselves in worship can be uncomfortable, especially if they are new Christians. You go to some churches, and the congregation never stands up. They don’t sing, but they just sit and listen to the worship music. Others may sing but they don’t play instruments. Still others will be waving their hands, shouting and running around as the band plays every kind of instrument. Which way to worship is correct? Barak means to bow down to, or kneel before, the Lord. It communicates that the Lord holds a place of importance and helps us remember just how great He is. Barak is not done out of a begging attitude but rather an expectant attitude, because the Lord is more than willing and able to move on our behalf. Halal appears more than 110 times in the Old Testament. It translates as to shine, boast, rave about, celebrate or even to be clamorously foolish. Can you imagine a more wondrous noise raving about about all the Lord is and all He has done? Shabach means to shout loudly or command. Of course, it isn’t simply about being loud. Its focus is to worship the Lord with one’s whole being. Tehillah means to sing unrehearsed, unplanned praises to the Lord. It can include adding words to an existing song or even singing in the spirit to the Lord. Towdah is a type of worship that includes extending your hands or raising them in thanksgiving for something that has been done or will be done. Yadah means to extend your hands vigorously as in complete surrender. God thunders marvelously with His voice; He does great things which we cannot comprehend. For He says to the snow, ‘Fall on the earth’; Likewise to the gentle rain and the heavy rain of His strength. 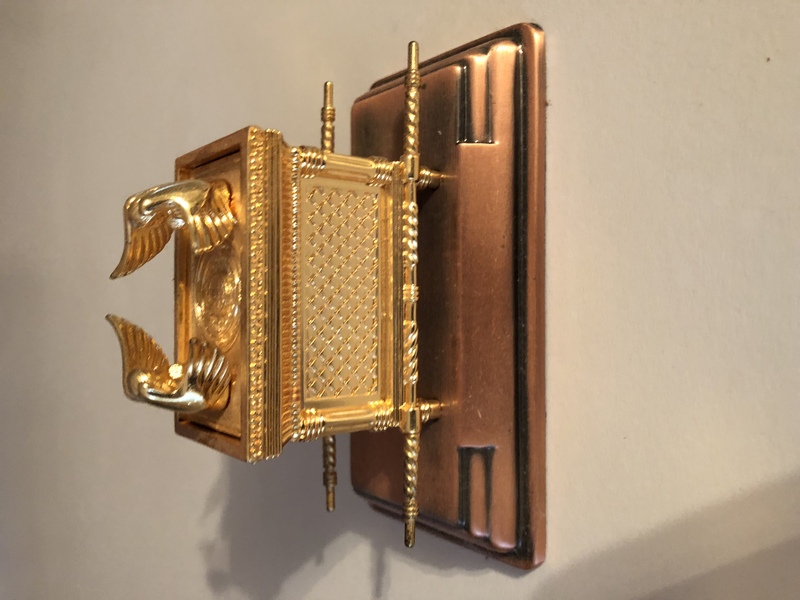 I have this mini Ark of the Covenant on my mantel, as I am listening to worship music. The story Uzzah came to memory. 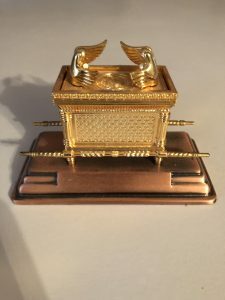 Answer: The story of Uzzah and the Ark of the Covenant is found in 2 Samuel 6:1-7 and 1 Chronicles 13:9-12. As the ark was being transported, the oxen pulling the cart stumbled, and a Levite named Uzzah took hold of the ark. God’s anger burned against Uzzah and He struck him down and he died. Uzzah’s punishment does appear to be extreme for what we might consider to be a good deed. However, there are the reasons why God took such severe action. How does a narcissist know you are still attached if there is no contact? This is a complicated answer. I am not a psychologist, but from what I understand as a former supply for a narcissist, even if you are no contact, if you have any exposure to their lives, especially in social media, or mutual friends who might try to pass information along to you about the narcissist, as far as the narcissist is concerned, you are still giving them emotional supply. They are still feeding off the thoughts that you might be suffering because of what’s happening in their life. For this reason they will often go to extremes to post things on social media or sneakily pass messages along to you through others in hopes that you will be affected by them. They really believe that you will be hurting and they get off just on that negative thought fuel alone. Therefore, you should really cut off all means of seeing anything about them at all. Once they realize you have done that, and that you are serious about it, that will stop them from getting fuel from the idea of causing you suffering. Inevitably the lack of exposure will make it so that their lives don’t impact you at all, and that’s the ideal. 27 Make a Difference Day– fourth Saturday of the month, neighbors helping neighbors. Happy Birthday to all who are born in the month of October. May your day be as exceptional as you are. Here are some holiday’s you might not be aware of coming in October 2018. This is a repost from 2017 – the message talks about the era of transitioning. Last Friday, March 17 I post many interesting facts that I’ve understood about a biblical transition between King David handing over his reign to his son Solomon. I only posted the scripture without any input from my writing. The Word explanation is life and powerful all by its self. As I often ask the Lord where are we and what is happening in our earth from heavens perspective? 2. The enemy for the position of power. 4. The reign of the totality of grace – Solomon Temple and the extended presence of Christ in the body of Christ. 5. Faith through Love living. The enemy of Grace coming into the lives of God church body, Adonijah, in his mischievous kind of why tried to under handedly attempted to steal the position during a transitioning time without the King David realizing it. Adonijah knew his father King David was sick in bed and wasn’t fully equipped to oversee the kingdom. Because of the promise to David that his son Solomon will inherit the reign of his kingdom, someone from the field watching Adonijah’s error, who understand protocol ran to the house of David and revealed the treacherous act. At that moment the King David raised from his bed and placed the coat – King David had the original coat; placed the Kings robe on his son Solomon. The story has many connotations to feed on for adequate accuracy of His Word for the 2017 current year. Solomon reign as King blessed the nation with the measurement of Solomon’s temple — which is the temple of you. Be blessed as you read the story. Here is the Friday scripture posting from Friday. 25So King Solomon sent Benaiah the son of Jehoiada; and he fell upon him so that he died. So King Solomon gave orders to Benaiah son of Jehoiada, and he struck down Adonijah and he died. Graceful faith is simply believing daily your steps for an ultimate end. The word tells us that our steps are ordered by the Lord. The word also tells us that the word is a lamp unto our feet and a light unto our path. As you understand profoundly about scripture, you can come to realize that the lamp is an inward knowing leading your way. Today, keep your ears open to hearing with ears that only your inwardly will know the details where to step next. Here is a video that Mr. Tyler Perry recorded many years ago. 11“Blessed are you when people insult you, persecute you and falsely say all kinds of evil against you because of me. 12Rejoice and be glad, because great is your reward in heaven, for in the same way they persecuted the prophets who were before you. Never tear down anything unless you are prepared to build something better in its place. This rule applies to both individuals and things. 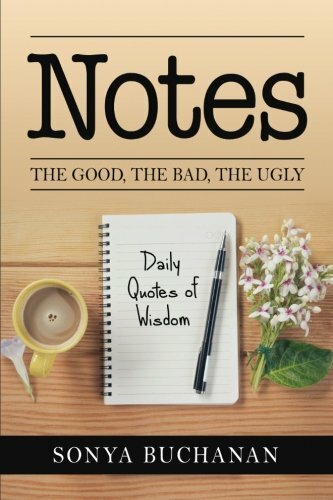 It’s easy to criticize other people thoughtlessly for their shortcomings, and equally easy to find fault in their work or in situations that are not to your liking. It is far more difficult to be a builder of people and to create works of art, useful products, or profitable businesses. Make sure you are a builder, not a destroyer of people and things. When you criticize the actions or work of others — your children, your employees, or others for whom you are responsible — make sure your criticisms are positive and directed at the act, or the opportunity for improvement, not the individual. Include specific suggestions for their application and focus on the potential for success.